Despite my attempts to display my "bunny-tude" I am being adopted! Hello. My name is Latoya and there's no question about it---I am one super cute and funky looking bunny! 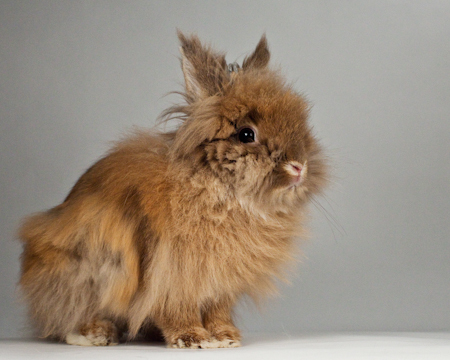 I am a small, spayed, female lionhead who is on the shy side. What's important to know though is that I want to be with people. I just want someone to love me and understand that I am a little nervous at first. If you have a quiet home and gentle, nurturing way of working with bunnies, I might just be the little girl for you.